In a recent study conducted by the American Trucking Association, it is reported that the for-hire truck tonnage saw an increase of 6.5% in May 2017. The ATA reports that this increase follows a relative dip in April, which was projected at 1.5% decline from March 2017. Additionally, the ATA reports that the change in total tons hauled by trucks in May was 8.5% higher than the figures collected in April. 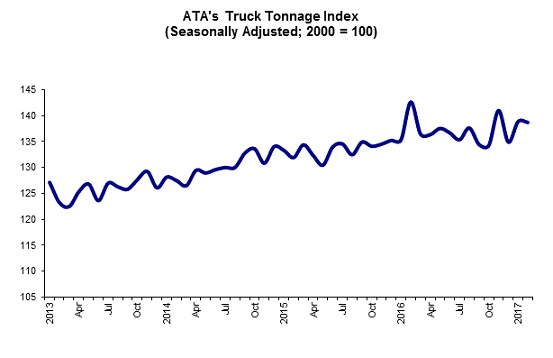 Bob Costello, ATA Chief Economist, reported in press release issued by the association that May’s positive trends may be just indicative of the month, but the news seems to correlate with positive reports from fleets. According to Costello, the relatively large spike shown in May is likely coincide with moderate growth in the trucking industry as other economic factors improve. The ATA reports that trucking industry accounts for nearly $726.4 billion of total revenue earned by all modes of commercial transportation in the United States.